A hidden Oasis in Boracay! Secret Garden Resort is made up of a small family team. The resort is owned and managed by the Ramirez family and continues to value the family concept, which is portrayed through its presentation, atmosphere and environment. Welcome to Secret Garden Resort! 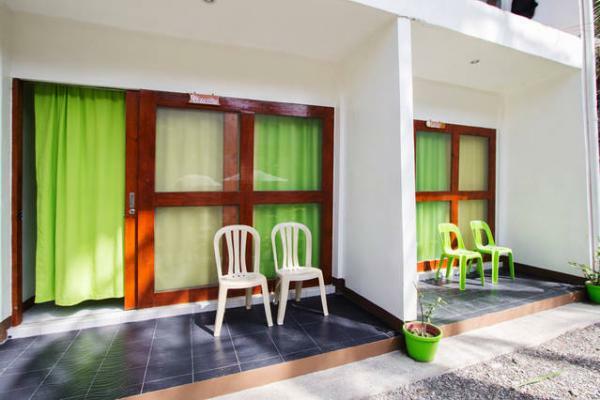 Secret Garden Resort is a tropical resort located in Station 2, far enough from the nightlife noise but close enough to the pristine white beach and the many establishments along its stretch. Secret Garden Resort is a hidden oasis nestled just behind the busiest part of the island. With reasonable rates and quality service from our caring staff, Secret Garden Resort is a haven for rest and relaxation. We tend to offer total renewal just steps away from the island's numerous attractions. Landmarks: Bolabog Road Near Lake Town Restaurant. It is located in the street where Iglesia ni Cristo Church is also located.